Making bacon in the oven is the only way to have perfectly crispy and delicious bacon without any hassle. Baking bacon for the win! 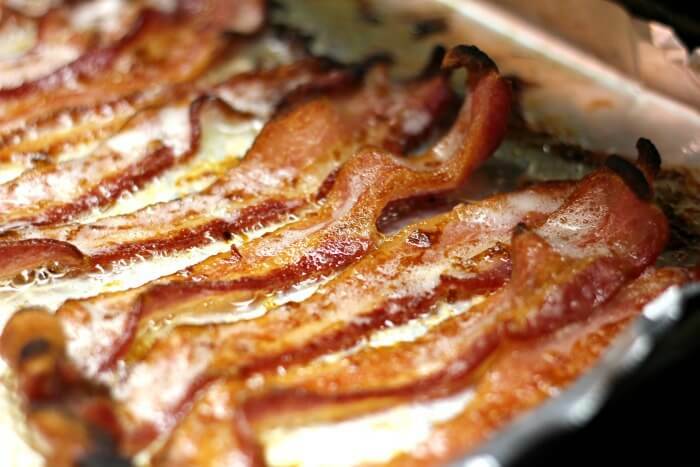 Discovering how to make bacon in the oven has been one of my all time favorite cooking hacks. As someone who looooves bacon but is not a fan of the clinging cloying smell from frying it, this has been a lifesaver! Cooking bacon in the oven while making Greek yogurt pancakes on the griddle, and poached eggs on the stove top (with hollandaise sauce in the blender!) is one of our favorite ways to cook breakfast for dinner. Or breakfast for breakfast! How long do you cook bacon in the oven? 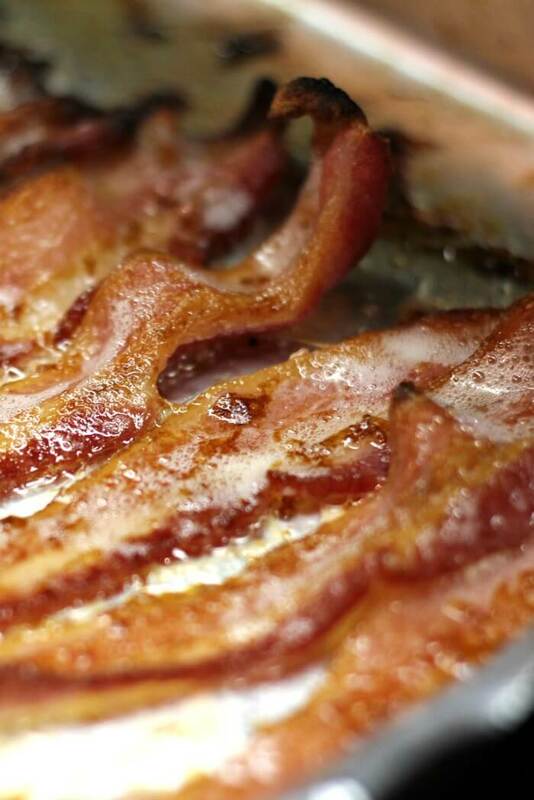 Baking bacon at 375 degrees takes roughly 30 minutes. If you’re using a thin cut bacon and like it on the chewy side, the time will be a little bit less. Alternatively, If your oven baked bacon is super thick and crispy (mmmmm) then it may take upwards of 40 minutes. The beautiful thing about making bacon in the oven though is you don’t have to touch it or flip it at all. Just peak into the oven every now and again to see if it’s cooked to your liking. 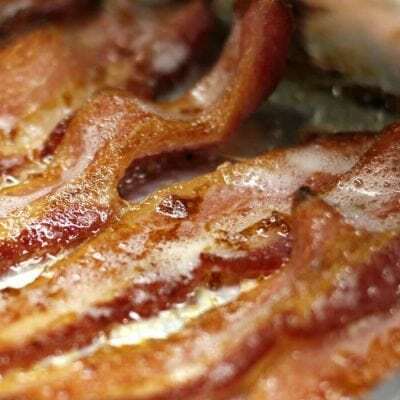 Can you cook bacon on parchment paper in the oven? You can cook bacon on parchment paper in the oven, or on foil in the oven, but honestly unless you’re using a non-stick pan (which I don’t personally recommend), then it’s fine to do it directly on the baking sheet. The bacon doesn’t tend to stick, especially if you crinkle it (see how we do it in the video below). I avoid cooking bacon on non-stick pans because I always have trouble with the coating coming off. We use an aluminum bakers half sheet for this and most of our roasting. One of my favorite things about making bacon this way is that when you bake bacon it renders the fat into the pan. After the bacon is done cooking in the oven, strain the fat into a jar and use it too cook with again later. We love to use it for roasted brussel sprouts, caramelized onions, maple bacon salad dressing, and it works great for seasoning your cast iron pans. 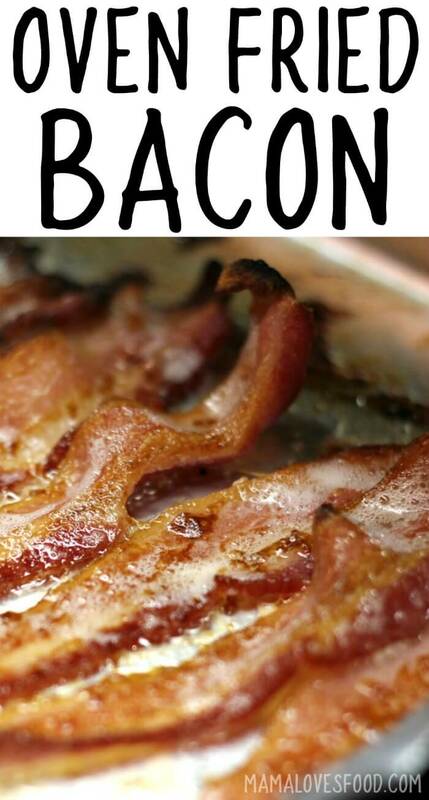 How do you know if bacon is bad? 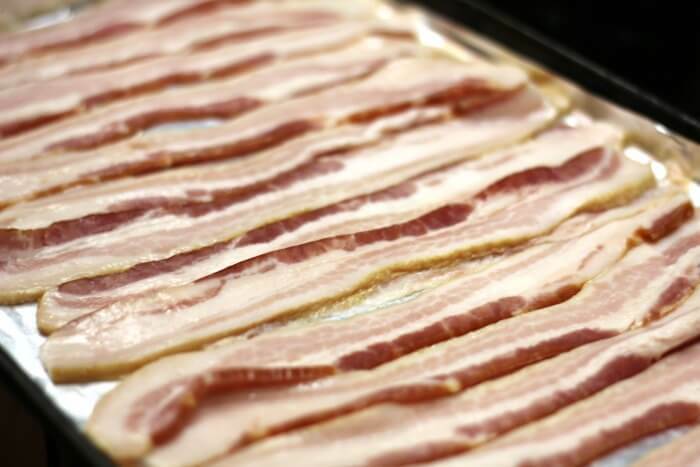 Bacon will go bad after about a week in the refrigerator once it’s opened. You will know if bacon is bad because it will smell off and may have turned somewhat brownish, grayish or even greenish. Cooking bacon that has gone bad will not make it safe to eat. If you believe your bacon has spoiled, throw it away. Black Label Thick Cut Bacon – I’m a thick cut bacon junkie. We cook it until it’s so rendered that it almost melts in your mouth. So. Good. You can also watch us make this oven baked bacon on YouTube along with hashbrown waffles. Make sure to tune in for all our live cooking shows! 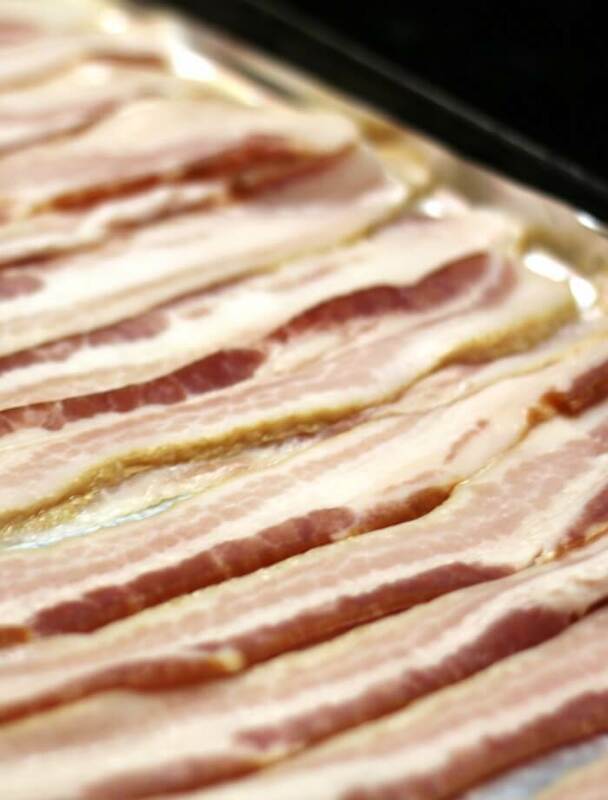 Lay bacon on a baking sheet, lie it flat if you're planning to use it for something like sandwiches, otherwise crinkle it (see video above) so it's easier to lift off the sheet and you can fit more in one pan. Make sure to use a baking sheet with sides so you don't drip grease all over your oven! Place bacon into a cold oven and set to 375 degrees. Bake for about 20 to 30 minutes, checking periodically. (For extra thick cut bacon, it can be as long as 40 minutes). Pour bacon grease into a mason jar and store in fridge for later. Enjoy your no fuss no muss bacon! I love how easy it is to fry bacon in the oven. I'm making your crock pot potato soup recipe today and this is how I'll be frying my bacon! Broiling bacon in oven also works. I've been doing my bacon like this for years. my son introduced me to "meat candy". he served in his B&B. he sprinkled the bacon with coarse raw sugar or brown sugar prior to baking. it's amazing. I will eat bacon any time and any place. Thanks so much for all the tips! This is the only way we make bacon now! So easy! Just curious, doesn’t the grease splatter all over the oven? I Have only made bacon with this method since watching you do it on one of your FB shows. I love it and it’s sooooo yummy!! 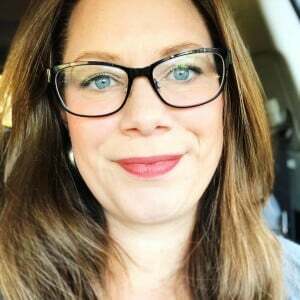 Thank you April for bringing us all the delicious things! !